Get a hint of color that cares for your lips with a tube of Burt’s Bees Tinted Lip Balm in Petunia. It enhances your lips with a sheer pretty pink shade while botanical waxes and shea butter nourish and soften dry skin. Like all Burt’s Bees Tinted Lip Balms, from neutrals to pinks, to reds and plums, this lip tint is 100% natural. 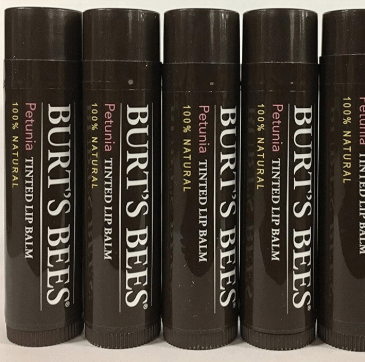 No one knows color better than nature, and nobody knows natural lip color better than Burt’s Bees.